Will it Sew Through all the Layers? While there are lots of different materials that can be tricky or finicky to sew with, one of the scariest things to sew is super tough and bulky fabrics. Fear not! 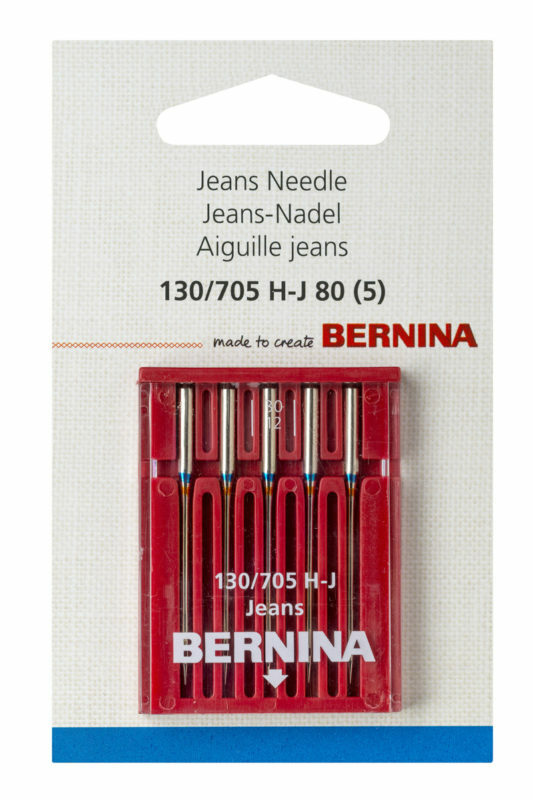 With the right tools, your BERNINA can tackle almost anything you try to stitch. 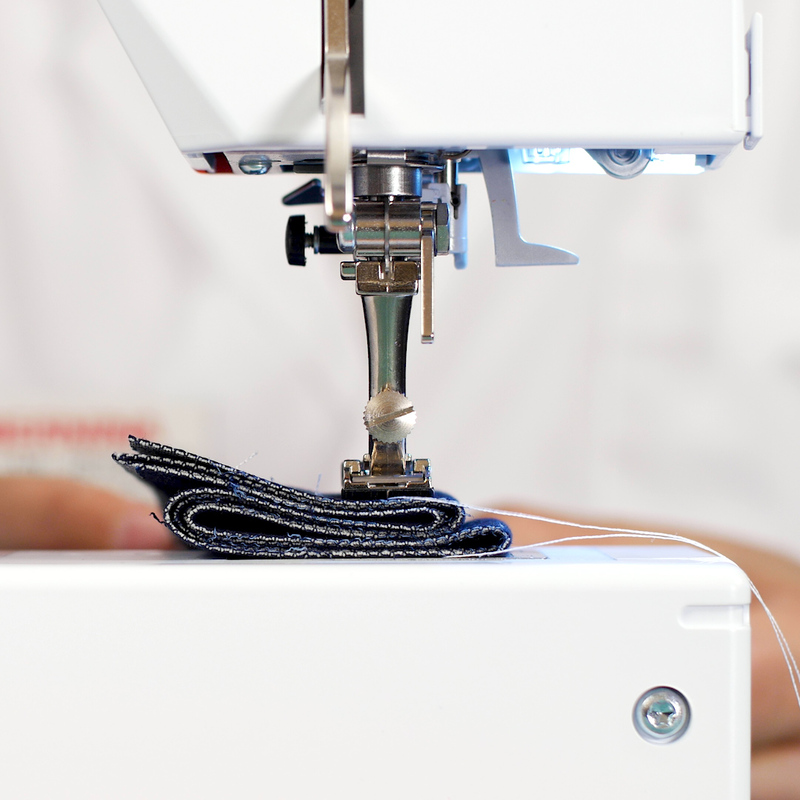 Here are a few tips and accessories to ensure successful heavy duty stitching. Here are views of the stitches after sewing all the layers in the video above! 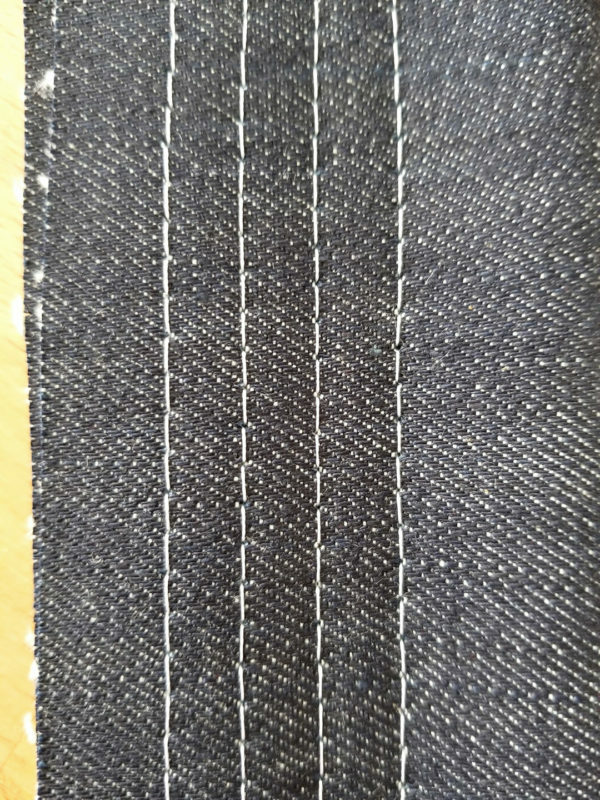 In this photo from left to right you can see the top of the swatch showing the stitches sewing through two layers, 4 layers, 8 layers, and 12 layers of denim. And in this photo you can see the other side of the fabric swatch after sewing through 12 layers of denim. 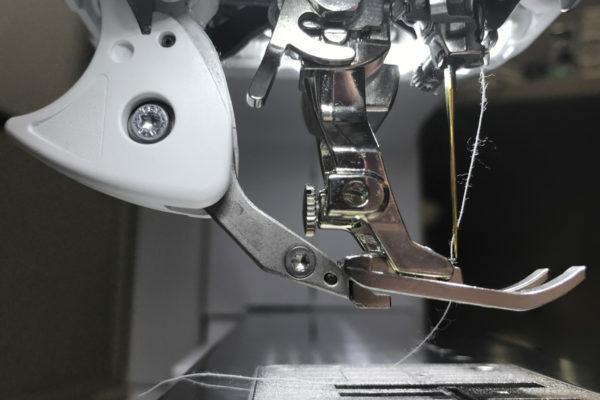 Depending on the kind of fabric you are sewing and how thick it is, you have a few options to employ for the most successful stitch. 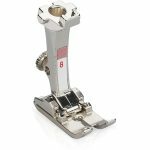 For most bulky seams the Jeans Foot #8/8D will serve you well. 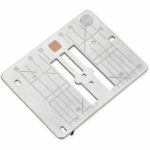 This presser foot is designed for sewing a straight stitch which means that the opening for the needle is quite narrow. This small opening gives greater stability to the fabric and the needle as it penetrates through the fabric. 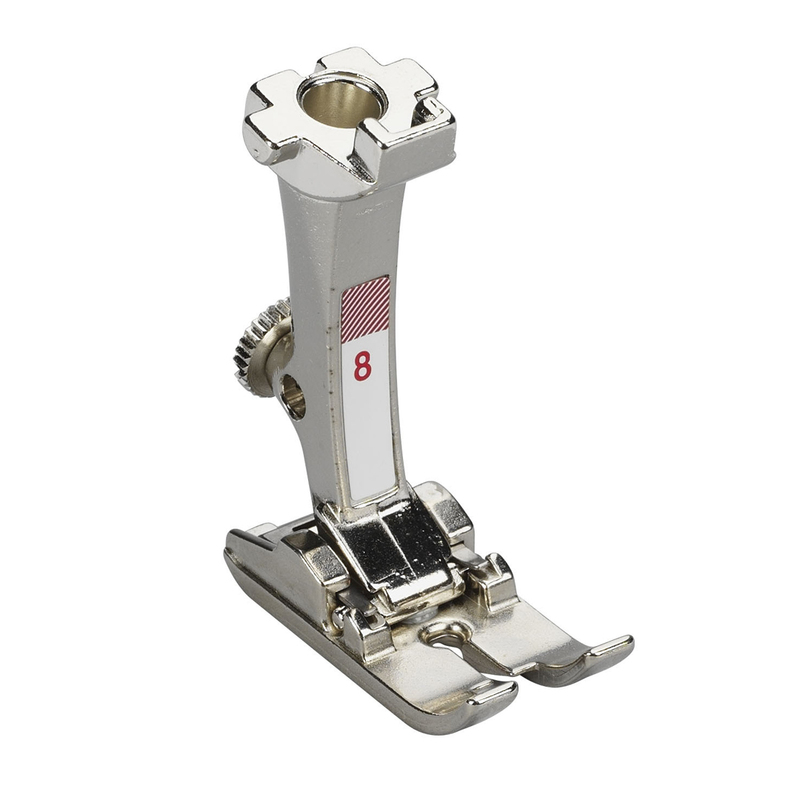 If your fabric needs extra assistance moving smoothly under the presser foot, you may choose to use a Dual Feed presser foot (such as the #8D). The Dual Feed mechanism will engage an arm that moves in sync with the feed dogs to pull fabric from the top as the feed dog pushes from the bottom. 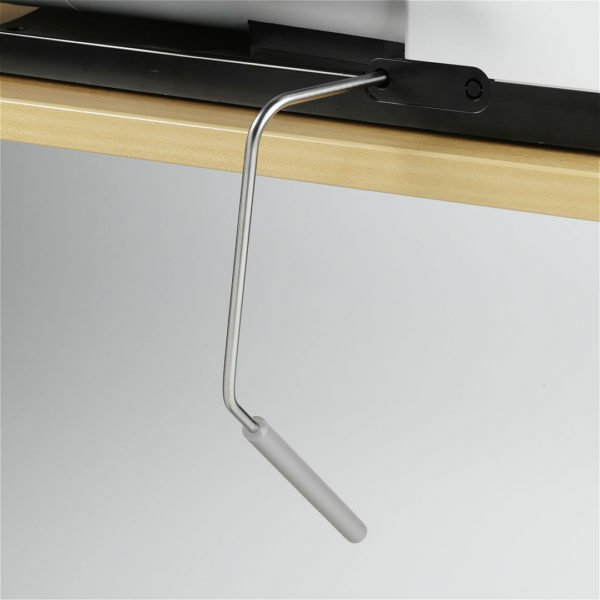 This is useful for medium to heavy fabrics or if you just need some extra assistance over some bulky seams. For bulkiest fabrics, it’s time to break out Walking Foot #50. Like Dual Feed, the walking foot works to move the fabric through from the top as well as underneath with the feed dog. 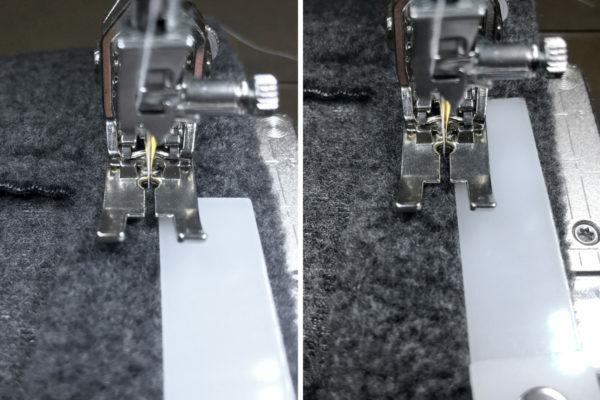 The advantage to the walking foot is that it covers five times the surface area as Dual Feed and thus The walking foot prevents shifting of layers and is great for “sticky” materials or fabrics that might grab like waxed canvas, laminated cotton/canvas, or thick vinyl. If you find your fabric still isn’t moving smoothly under your presser foot, you may need to adjust the presser foot pressure. When sewing particularly thick fabrics, you may benefit from decreasing this pressure. Your FHS is your best friend when sewing difficult materials. Its obvious aid is that it allows you to keep your hands on your fabric as you secure it under the presser foot but when you engage the FHS, there’s more going on than you may see! The FHS can raise the presser foot slightly higher than its standard position and it will also lower the feed dog, giving you extra room to move bulky fabrics under the foot. 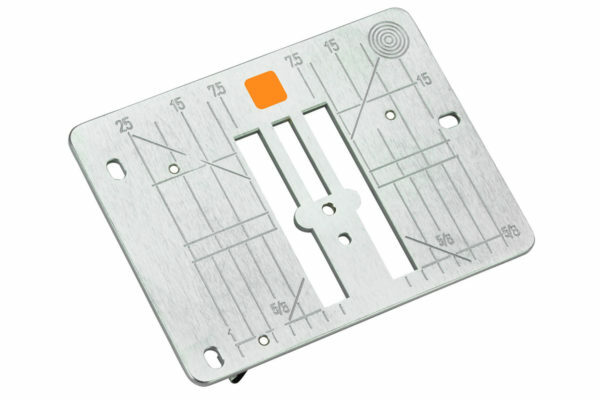 For the same reason that a straight stitch foot is ideal for bulky fabrics, a straight stitch plate brings an added level of stability and security to your stitching. Having a straight stitch plate in place ensures that as the needle moves down through the fabric, there is nowhere for the fabric to move downward. As a side note, if you’ve ever had trouble with fabrics at the delicate end of the spectrum, a straight stitch plate will offer the same kind of stability. No more fabric jamming down in your stitch plate! Like with any other kind of sewing, using the right needle is key! In terms of needle size, you will want to use no smaller than a 90/14 for most heavy duty sewing and you may choose to go as large as 110/18. A thicker needle will hold up to heavier fabrics. 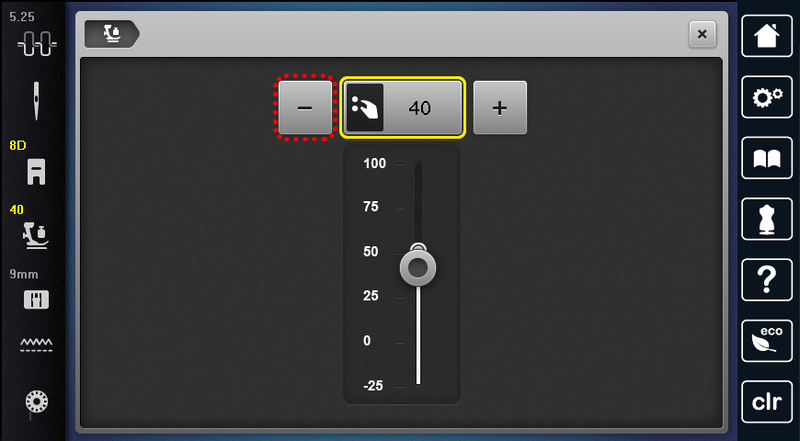 You will also want to consider the needle type. A jeans needle is designed with a slightly larger eye on the needle to accommodate heavy threads. It also has a long, slender sharp point to penetrate through thick, tightly woven fabrics like denim, twill, or canvas. For more info on needle selection, check out this post. An incredibly useful and often overlooked tool in your accessory bag is the height compensation tool. This tool features several pieces of plastic in varying thicknesses on a swivel hinge. 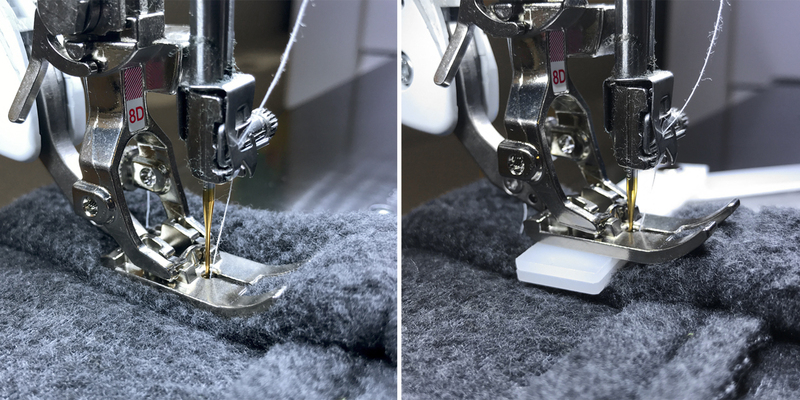 When sewing and approaching a thicker section of fabric (like a super bulky seam), stop with the needle down just before the bulky section, raise the presser foot using the FHS, and place the height compensation tool under the presser foot but behind the needle. This will make it so that the foot isn’t having to angle upward to work across the bulk. Once you’ve sewn through the bulk, again raise the presser foot using the FHS with the needle down, place the height compensation tool under the presser foot but ahead of the needle. Hold it in place (not moving back with the fabric) until the bulky seam is completely clear from the back of the presser foot. 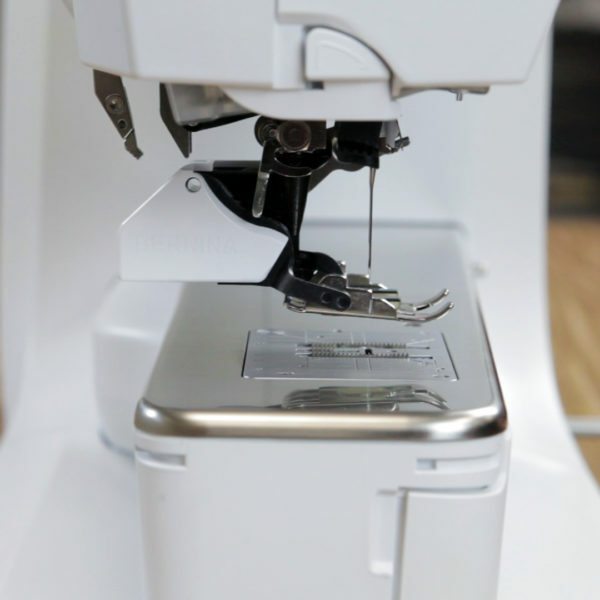 With these tools and tricks in mind, there’s no project too tough for you and your BERNINA! when sewing through so many thick layers, don’t you also need to change your stitch length? Hi Leni! Depending on the fabric used, you may want to lengthen your stitch. Some fabrics may do just fine but some may need a little extra help! Always test on a scrap piece of fabric 🙂 I’d say 2.5 to 3 mm is a good place to start for bulky seams. 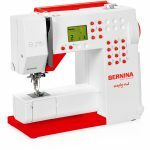 I have had my Bernina 740 about 6 months and I love it.. I hadn’t read your post yet, but I saw it somewhere that I could sew 12 layers of denim, so I tried it. 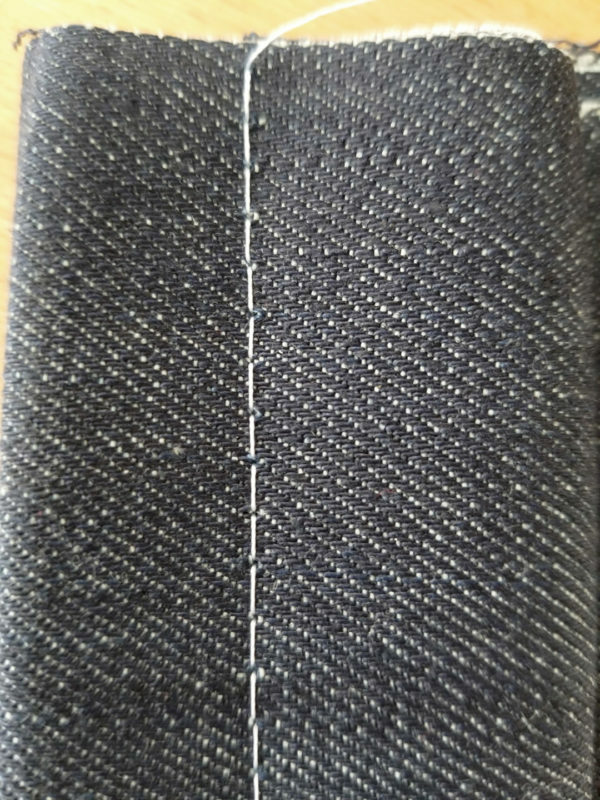 I did change to a larger denim needle, but I didn’t bother to change to the straight stitch plate or the denim foot. I didn’t lower the foot pressure, but I did make the stitch a bit longer. It’s pretty cool. It sewed it with ease. When I am actually sewing multiple layers I will use your tips. 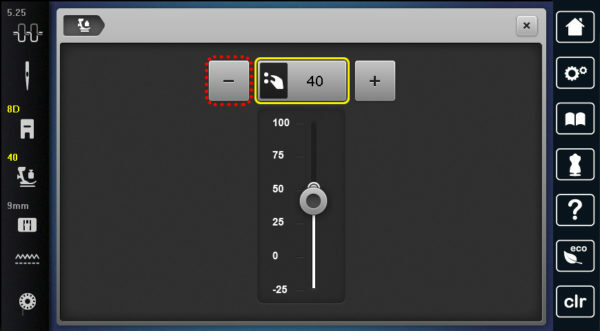 Will the 790 Plus also do this?